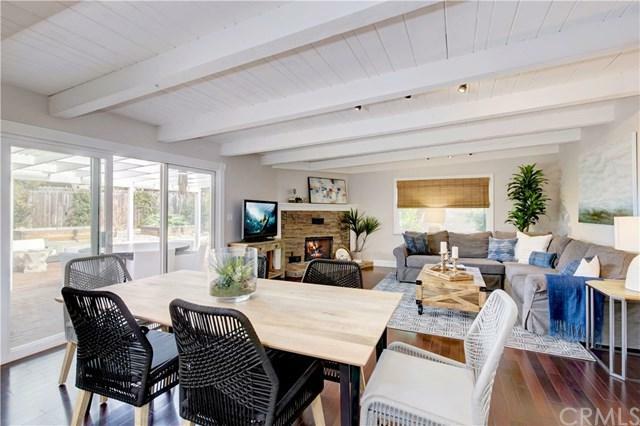 Just minutes from the surf and sand in Capistrano Beach, this quintessential coastal cottage has retained its period charm while carefully blending in the amenities that today+GGs buyers are looking for. 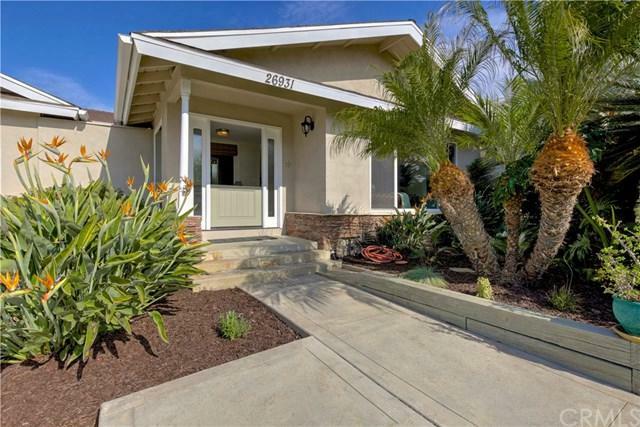 A friendly Dutch entry door provides the ideal introduction for the light and bright single-level home, which is adorned with handsome hardwood floors, custom crown molding, wainscoting, skylights, open-beam wood ceilings, extensive custom built-ins and storage, and large upgraded windows. Two bedrooms and two baths are featured in approximately 2,003 s.f., with an elegant living room, wide hall and den providing ample space for entertaining. A private wood-lined courtyard with spa offers the appealing ambiance of an outdoor sauna and is accessed from the living room and second bedroom. Every space in the cottage is convenient to the custom kitchen and generously sized great room, which hosts a stacked-stone fireplace, vaulted ceiling, an island with seating, white cabinetry with glass uppers, granite countertops with full backsplash, a pantry, garden window and Jenn-Air appliances. Most properties on this highly desirable street average 5,500 s.f., while this home+GGs lot spans an impressive 8,442 square feet. 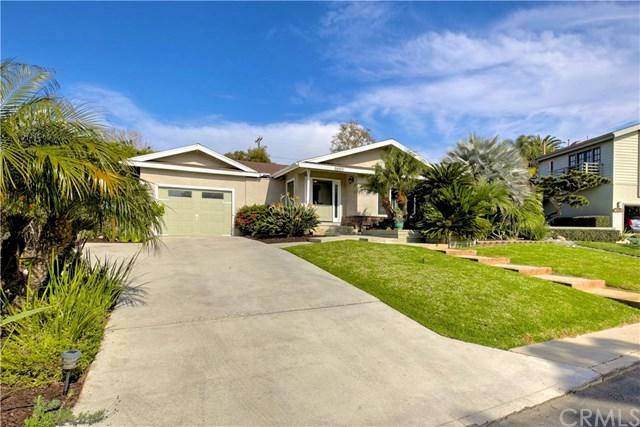 Low-maintenance tropical-themed grounds display lush lawns, mature palms, extra driveway parking, and a private backyard with covered patio, lemon trees and garden beds. Shopping and dining destinations are within walking distance, and schools, parks and I-5 are nearby. 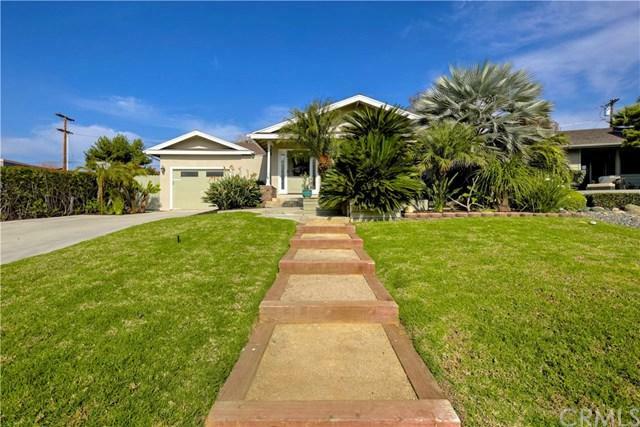 Sold by Alexis D'amato of Surterre Properties Inc..